There are over 200 species of Iris plants, and the number of varieties is nearly as staggering. From the dwarf bearded iris to the stately Japanese, not to mention the wealth of colors available, there is surely an iris for any garden collection. Irises were named after the Greek goddess of the rainbow, Iris, which is a fitting name for this plant. Irises are perennial flowers that grow from bulbs or spreading rhizomes. All irises have lance-shaped leaves, and the flowers have three drooping petals, or falls, and three upright petals, called standards. They may be bearded (a fuzzy strip on each of the drooping falls) or unbearded. They are hardy in zones 5 to 9. 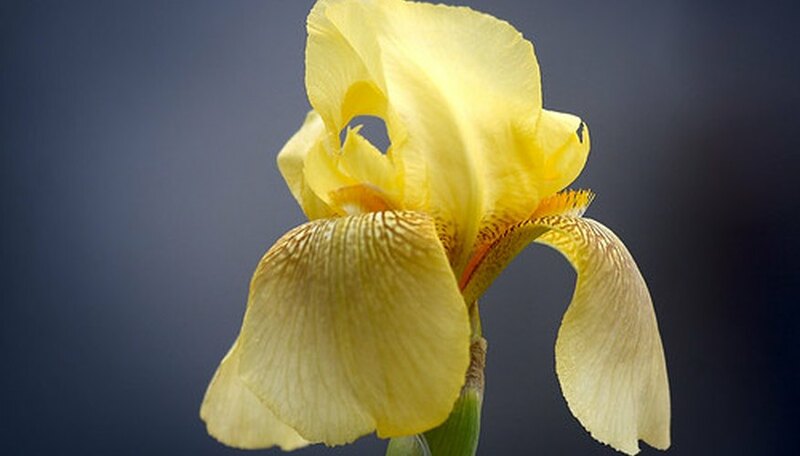 The most popular varieties of irises are: the Japanese iris, blooming in midsummer, which grows up to 4 feet high; the Siberian iris, which blooms in late spring, is just as tall, but a beardless variety; the bearded iris, another spring bloomer, can be either dwarf (6 inches high) to tall (4 feet); the crested iris, only growing up to 8 inches, is a rapid spreader that does well in naturalized settings. Irises can be planted in flower borders, rock gardens, around ponds and even in naturalized woodland settings. Siberian and Japanese varieties do well in moist, acid soil and, like their cousin the yellow flag iris, can be planted near ponds or water features. Bearded irises prefer dryer locales with alkaline soil. All irises do well in full sun, but crested irises can tolerate shade as long as the soil is consistently moist. In northern areas, irises should be planted in the summer and in southern areas in the fall. Iris bulbs should be planted beneath the soil, while rhizome varieties need to be planted near the surface, usually 1 inch below the soil. Irises can be divided, especially after a few years and much spreading, usually during late summer or fall. The rhizomes can be gently pulled apart and cut into clumps, leaving at least one leaf per segment. Make sure each clump has enough healthy roots to transplant.